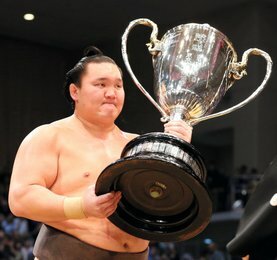 Kotoyuki sera pour la première fois sekiwake lors du Natsu basho 2016. Le nouveau banzuke qui classe les lutteurs pour le Natsu basho 2016 qui se tiendra à Tokyo du 8 au 22 mai prochain vient de paraître. Après son excellent tournoi récompensé d’un sanshô et d’un kinboshi, Kotoyuki accède au plus haut rang de sa carrière en occupant pour la première fois un poste en san’yaku en tant que sekiwake. Ikioi est lui aussi promu au plus au rang de sa carrière. Il avait occupé le rang de komusubi à deux reprises dans le passé mais jamais celui de sekiwake. Le brésilien Kaisei sera pour la première fois komusubi, son plus au niveau. Il sera accompagné de Okinoumi qui retrouve le même rang qu’il avait déjà occupé en septembre 2015. Nishikigi sera le seul nouveau lutteur à combattre dans la division reine makuuchi. Osunaarashi, Seiro et Endo réintègrent la division reine comme maegashira. Deux nouveaux lutteurs arriveront en jûryô et un sera de retour. Les nouveaux promus sont Ura de la Kise beya et Sato de la Takanohana beya. Ce dernier est celui qui a remporté la semaine dernière le championnat en division makushita (lire l’article). A 33 ans, Tamaasuka revient en jûryô après avoir passé deux tournois en makushita. Celui qui avait été maegashira 9 au plus haut de sa carrière, c’était il y a déjà 10 ans, prouve que l’heure de la retraite n’a pas encore sonné (lire l’article). 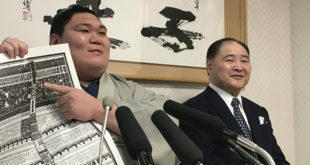 Kotoyuki and Ikioi both won promotion to sumo’s third-highest rank of sekiwake as the Japan Sumo Association released the rankings for the Summer Grand Sumo Tournament on Monday. 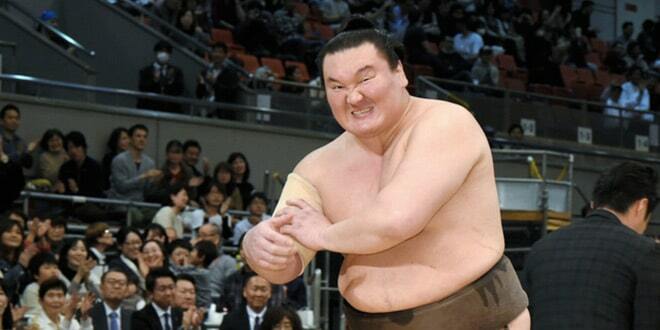 Kotoyuki, 25, defeated one yokozuna and two ozeki as he went on to secure an impressive 12-3 record as first-ranked maegashira at the March tourney in Osaka and becomes the first wrestler to reach sekiwake from Kagawa Prefecture in 56 years. Ikioi, 29, was 10-5 as No. 4 maegashira in his native Osaka. Kaisei, who won 11 at No. 7 maegashira, will become the first wrestler from Brazil to occupy the fourth-highest rank of komusubi. Okinoumi returns to the rank during the May 8-22 meet after three grand tournaments as a rank-and-file maegashira. 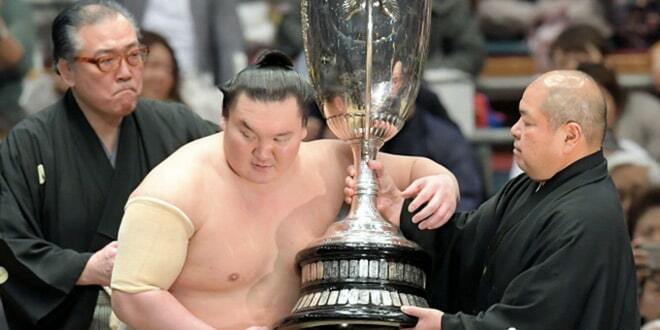 At the top, spring champion Hakuho has been restored in the prestigious east yokozuna slot for the first time in four tourneys after the Mongolian won a record 36th championship with a 14-1 record for his first trophy since last July. 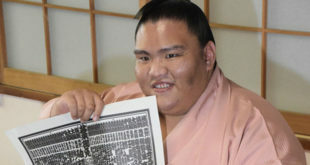 The 31-year-old evaded the charge of compatriot yokozuna Harumafuji on the final day in Osaka to avoid a play-off with ozeki Kisenosato, much to the dismay of the fans, and will be looking to regain his popular support with a strong showing in Tokyo. 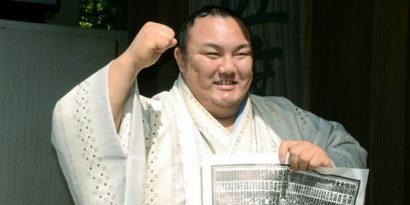 Fellow Mongolian yokozuna Kakuryu could only secure 10 wins in March but will sit on the west wing for the meet at Ryogoku Kokugikan, with Harumafuji, who won nine, ranked lowest among the three yokozuna. 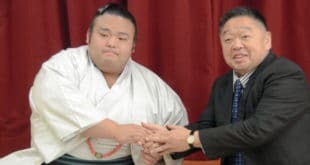 Kisenosato surrendered a sole lead in the spring tourney to miss out on his first title but has been ranked highest among ozeki after a 13-2 record. Kotoshogiku, who won the January tournament but fell way short of his tsunatori challenge in Osaka by just managing a winning record, is ranked third among four in the rank. Nishikigi is the sole newcomer to the makuuchi division, while Egyptian Osunaarashi, Mongolian Seiro and fan-favorite Endo all make their return after strong showings in Juryo in April. 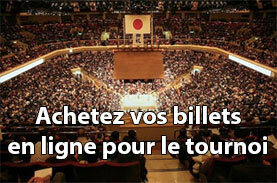 Rendez-vous le 8 mai pour suivre le Natsu basho 2016.